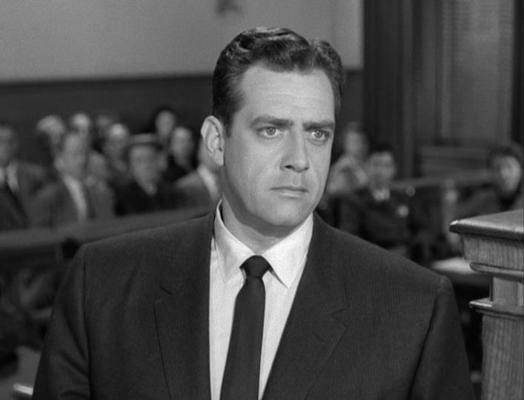 After 48 years The Perry Mason Show is off the air in Portland, OR. A mild controversy erupted two years ago, the first time Perry Mason was replaced from its noon slot on KPTV (Fox-12). It returned to an 8am broadcast time on KPDX-TV channel 49, I’m assuming after enough of an uproar. With little fanfare, Queen Latifah replaced Perry Mason in September. Any diehard Perry fan settling in to watch the show had to be disappointed. My wife, Ronna, and I started watching and enjoyed it. The characters all seemed to smoke like chimmneys and it was fun to see Perry Mason in black and white, along with investigator Paul Drake and the faithful secretary Della, chasing down some goofball in the 50’s and 60’s Los Angeles who thought he or she could get away with murder. We watched together when I had Monday mornings off. My wife’s work schedule allowed her to watch it every weekday morning. The official story from Andy Delaporte, the vice president and general manager of KPTV/KPDX, is that the ratings were too low to keep airing the show. This is understandable but it occurred to me that the show was never promoted. A quick and funny promo could have easily been made to alert people to this gem of a show and could possibly have built an audience. And why does it always have to be about money? What about the public service of entertaining, what’s safe to assume, an elderly audience. I understand an hour of TV, five times a week, is too much to give away, but I cannot recall seeing any advertising during the show targeted to the audience. No Henry Winkler or Fred Thompson schilling for reverse mortgage programs, no medicare insurance, no Colonial Penn funeral insurance with or without Alex Trebek, no Teva (adult depends), no Consumer Cellular and no mysterious medication ads of any kind that I remember. I mostly recollect seeing commercials for career colleges and promos for Fox 12 news broadcasts. Anyone in the area who had been watching the show for 48 years was probably not considering career college. My first thoughts were that I was going to have to fight the power to get Perry back on the air. I thought of boycotts, listing all the advertisers on the station and its affiliates, and then marching into a retirement community, up in arms, saying we can get Perry back. Working six days a week these days, I don’t want to spend my one day off protesting and I boycott most things anyway by being broke. I will get around to contacting Me-TV which is a subchannel of KATU-TV that may someday air Perry Mason in the Portland area. I found out through the Perry Mason page on Facebook that the show airs on Me-TV in Florida. Perry Mason also airs on the Hallmark Movie Channel but I’m not going back to cable. Some of these other options involve investing in one of those DVR contraptions, something that me and all my geriatric compatriots may not be willing to do. The biggest disappointment is losing another unique Portland experience. If only I’d watched the show sooner, I could have seen all 275 episodes. Now I can only wish I was watching Perry Mason brainstorming in a haze of cigarette smoke, at 8am on a Monday morning, like the good old days. I was devastated. I will sign anything if it will get Perry back into my morning routine. That probably won’t be legally binding.